testDAF, for who want to study in Germany. the DSH is a proof of German language knowledge useful for high schools admission (university and Hochschulen). Is alternative to the testDAF, but there are also many differences we’ll see in detail further down the page. telc language test, are alternative and similar to Goethe’s. They do certificates also for other languages. It’s worth mentioning the DSD (Deutsches Sprachdiplom level I and II) that in some sources is mentioned among the possible certificates. DSD is a degree that can be obtained after a multi-years program of study defined by the ministry of culture (Kulturministerkonferenz). So it is something quite different from a test of knowledge of the language and it is not considered here. Nevertheless, there are some references if you want to deepen the topic. Corresponds to the A1 level of the Common European Framework (CEFR). Goethe certificate A1: Fit in Deutsch 1 is a certificate developed from the Goethe-Institute for children and teens of age between 10 and 16 years. Goethe certificate A1: Start Deutsch 1 is the A1 level for adults. introduce oneself to another person, ask questions to an interlocutor about him, for example, where do they live, who they know, what they have. Goethe certificate A2: Start Deutsch 2 for adults. describe with simple sentences his own origin and education, the surrounding environment e the most common contests. As you can see the difference between A1 and A2 is not so clear in the description, the main difference is in the subjects that are studied. B1 level demonstrates a basic knowledge and autonomy in daily situations. In Germany is requested as evidence of proficiency for public and private employment and for the acquisition of the citizenship. B2 level attests a good knowledge: the B2 is accepted for the admission to German studies (Germanistik). C1 level indicates an advanced knowledge. C2 level implies an advanced knowledge. It corresponds to the highest level of the Common Reference Framework and allows the admission to a German university. Just to mention, the Goethe-Zertifikat A1: Start Deutsch 1, as well as all the higher certificates (from A2 to C2), is accepted as demonstration of proficiency with the language for getting a family joining visa, you will find a reference further below in the page. Those have all been replaced by the Goethe-Zertifikat C2: Großes Deutsches Sprachdiplom. If you see the certificates above mentioned somewhere you already know they are outdated. Of course, the already obtained certificates are still valid. To get Goethe’s certificate you can do the exam in any of the authorized test locations, find the closest to you on this page. 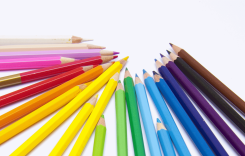 The test Deutsch als Fremdsprache (German as a foreign language), short-name testDAF, is a centralized, standardized and not free language test. It gives the possibility to a foreign student to be admitted into Germany’s higher education system (universities and Hochschulen). a person who needs a certificate to get a job in a scientific/research field. After each component of the test gets its own mark according to the scheme above, the final test result is not an average but it comprises the 4 levels achieved. If the result is not enough for the admission to the chosen university (because, for instance, you’ve got only a TDN3 in the oral communication) the test can be repeated as many times as wanted. TDN 3. The candidate is able to get an overview of the daily study subjects. Scientific texts are still too complex. The candidate can summarize text regarding a subject he knows, possibly making errors that can compromise the comprehension of it. Also during talking errors that can lead to misunderstandings are done. TDN 4. The candidate is able to understand texts of some complexity, regarding concrete and abstract subjects. The candidate is able to communicate orally without doing errors that can compromise the intelligibility of the conversation. He is able to lead a talk with a mother tongue, without preparing the conversation upfront and on different subjects. TDN5. The candidate is able to comprehend long and complicate text regarding different subjects discussed in deep details. Implicit information, like speakers mind or irony, are understood by the candidate. In the production of text, only a few errors are done, these errors anyway don’t compromise at all the comprehension of the text. With speaking he is able to express himself fluently without preparing the conversation in advance and without the need to stop and think about the words to use. What result is needed to enter a university depends on the university or faculty. According to my research, with a testDAF level 3 one can access only at the University of Konstanz in the faculty of physics, mathematics, and financial mathematics. Some universities require the testDAF level 3 to access the Studienkolleg. The Studienkolleg is an entity parallel to the university where the gap between student’s knowledge and minimum cultural and linguistic requirements for the admission is filled. Not all universities have a Studienkolleg. Page of Bamberg university: university or Studienkolleg? the testDAF level 5 is required for some study or faculty for which talking in German is a cornerstone, like for example German philology, Germanistics, Law. The testDAF can be done in one of the 450 authorized test locations in 95 countries in the world. Since it is a centralized test the result of the exam is verified directly from the testDAF-Institute and the latter issue the certificates, not the test location where the exam has been taken. If you want to find the closest test center search it on the official page of the testDAF-Institute, click here. The DSH (Deutschen Sprachprüfung für den Hochschulzugang) is a certificate demonstrating enough knowledge of the language to be admitted to a university. The test to get the DSH is organized by the university itself or from other schools commissioned to make the test on behalf of the university. One of the main difference with the testDAF is that the latter is a standardized test, this means the structure of the test is always the same only the content is different, regardless where you take the exam. Consider also that the test is corrected from the testDAF-Institute. On the contrary for the DHS there are guidelines, but in general, the implementation is done by the university, so the DSH is not a standardized and centralized test like the testDAF. This means the difficulty of the exam and its structure change among different universities. This also implies that a DSH exam is not equally recognized by all universities and it is possible, if you move to another university, you have to redo the DSH test. For the sake of completeness, I have to add that there are currently attempts to standardize the DSH test, but the situation is still confused. The DSH is also comprised of 4 parts, like the testDAF, but the final mark is unique, differently from testDAF. Each test (written and oral) is graded for itself and the final mark is the minimum between the two. with less than 57% the test is failed. the final total mark for the test is the minimum of the two, then DSH-1. In this page you find a detailed comparison between the exam of the testDAF and the DSH, so you can choose what can be the best fit for you. The company telc GmbH (The European Language Certificates) developed starting 1999 a system for the standardization of the evaluation of the knowledge of a foreigner language. The development was done in collaboration with the Goethe-Institute, with the mandate of the Interior Minister. Thus the telc certificate attests a knowledge of the German language. Worth to mention telc certification can be taken also for other European languages. some universities, unfortunately not all, accept the certificate for admission to the university. Münster University, click here. It is suggested to verify directly with the university you are interested in if they accept the telc certificate or not. is accepted as evidence of language proficiency for citizenship request (Einbürgerungstest). for the Wikipedia page click here. the Interior Ministry accept the telc Deutsch A1 as requisite for getting a family joining visa. it is accepted from many foreigner universities and institutions in the case German language proficiency is requested to get admitted or hired. All the telc test can be taken at the telc GmbH, or at authorized language schools, or authorized universities, or at the Goethe-Institut. 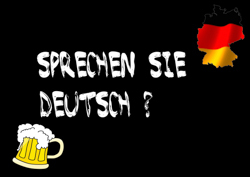 In this page, you find the list of all available German language test. Here you find the authorized test centers. take a trial test to see how you react under stress and with time limitation. If you want to know more about my German courses read this detailed page, or go to the price info page, or contact me directly. DISCLAIMER: Despite I long researched to compile this info and I used the most care it is possible that some info is wrong or outdated. Therefore I always suggest you, for important matters, to double check the official channels.